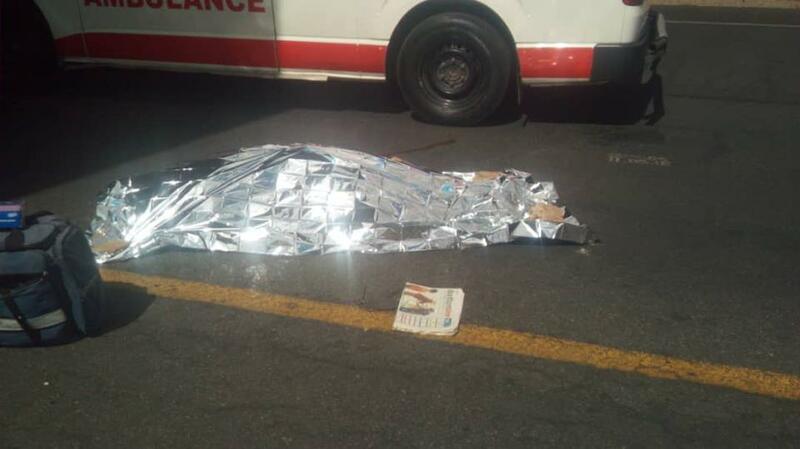 Pictured: The remains of a man who committed suicide in public covered with a medical emergency blanket. A macabre series of events played out in Windhoek when a man committed suicide in public by jumping from the Independence Avenue Bridge near the Katutura State Hospital into oncoming traffic travelling on the Western Bypass below. 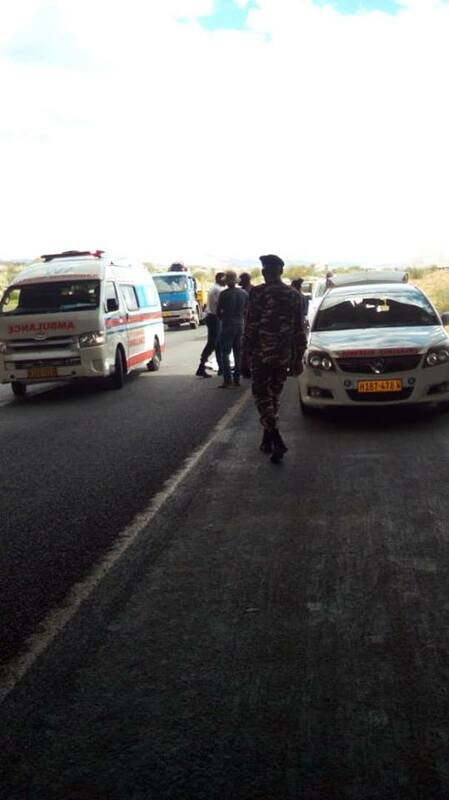 One of the first responders on the scene of the bizarre tragedy earlier on Tuesday said the public suicide was witnessed by several motorists who saw the man falling from the bridge, hitting the road surface below and then being driven over by one of the vehicles in front of them. It is not clear if the man who jumped from the bridge died when he hit the road below or if he was killed by the car hitting him moments afterwards. 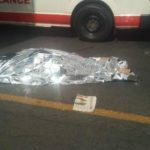 In this regard the Namibian police are looking for the driver of the silver Passo because he left the scene of the accident without assessing injuries of other persons involved.